The Naga Jolokia or also the Bhut Jolokia is still today one of the hottest Chilies in the world. Although she had to give her title further to the Carolina Reaper, are word records of above one million Scoville impressing. The pleasure is nothing for weak nerves. It does not only belong in the Indian kitchen but also as a medicine or the production of riot control agents. 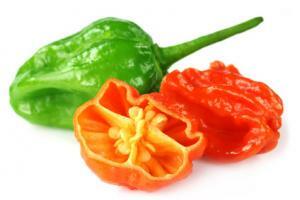 Naga, Bhut, Bih and so on – where is the difference? In the northeastern part of India this variety has a lot of different names. Depending in the area where it is grown there are different names like Nagahari, Bhut Jolokia, Naga Jolokia, Bih Jolokia, Borbi Jolokia or Naga Morich and all of them are for the same type of Chilli. These variations occur when translating the terms “extreme heat” or “poisonous Chilli” in the languages of the different regions. The problem is that Naga as well as Jolokia are parts of many other Indian varieties. But be aware! Often the Indian PC 1 is wrongly referenced as Naga Jolokia. This belongs to another variety and is not even close to the heat of the original. Through these overlapping of the names it has long been considered that the Indian PC1 is the hottest Chilli in the world. Crazy Chilli Fact: is used by the Indian army in order to produce irritant gas – aaarghh! Where does the Naga Jolokia actually come from? Jolokia means in the Assamese language Chilli. In 2006 Guinness book of records has given it the title of the hottest Chilli in the world. The place of origin for this Chilli in the Nordic regions, amongst others also in Bangladesh. In a TV documentary from PRO7 it was shown how the Indian Government produced irritant gas from the pods of this Chilli plant, and how it was used also as a defense from Elephants. In its country of origin a single pod is enough to spice up many dishes. In the Indian fields this plant is grown sporadically and together with rice. The Chili plants are simply put between the rice plants. In the Indian homes the plants are put in shade because these leads to a higher yield. The Naga Jolokia has had the hottest fruits in the world! It has taken the first prize away from the Red Savina in 2006. 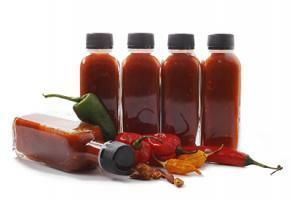 The highest Scoville reading has been 1.001.304 Scoville units. In the ripening Phase the fruit change colors from green to bright red. They grow to about 5-8 cm long, have a stretched form and have a wavy surface. The pods of the Naga Jolokia turn to an intensive red after they are ripe, although there are variations that can have orange to brown fruit. In the interior there are from 20 up to 40 seeds. Traditionally the Naga Jolokia is grown in the north eastern part of India in rice fields or in the gardens. It can be planted directly as well as seedlings and apparently it prefers more shady places than sunny places. 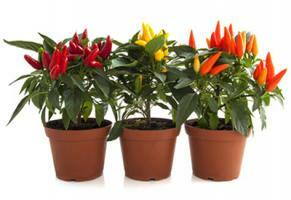 In comparison to other Chilli plants it is more comfortable and can necessitate only for the germination up to 36 days. Also the ripening period is quite long, needing approx. 160 days. Except for these traits the Naga Jolokia is a typical representative of the Capsicum Chinense variety. With the according age they can reach a growing high of 2-4 meter. The leaves are somewhat wrinkled and hang from the plant stem. The blossoms on the other had can be found in pairs or 3 from the same caulome. They are evidenced trough a cream white color and purple filament in combination with blue anthers. 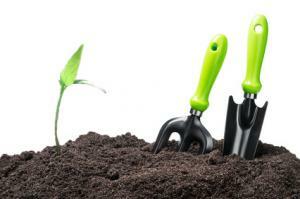 The seeds, especially in the germination phase like it warm and relatively moist. Soaking is recommended if you want to grow them yourself. Pepperworld has tried some different techniques before and has come to different results. Also a Beaching-Kur is recommended for better harvest results. Either way you have to start early with the growing so that you can harvest in the period between August and September. And this comes again to show how devilish hot the Naga. Especially in the commercial cultivation if the plant the workers must wear protective gear including facial masks when processing and packing these plants. We must take into consideration that extracts are made that are further used in the weapons industry. This is why also when eating the Chilli you must proceed with caution! An extreme burn, gasping and breathlessness: Who bites into a Naga Jolokia without being prepared will surely regret it. With the right conditions the pods can reach more than 1.000.000 Scoville units and this is nothing to underestimate. 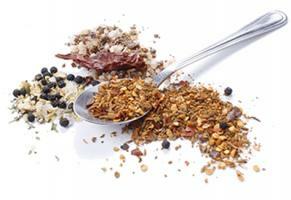 Also the flavor should not be neglected, which is at home especially in hot Curry dishes. In Assam a devilish hot oil is produced with the help of this Chilli. A single fruit is enough to spice up many dishes for a large family. The Naga Jolokia does not find use only in the kitchen. Extracts of the Chilies are often used for the production of irritants, but also for the production of lacquer that is used in painting of the ships. In the military it was tested multiple times to use the extremely irritant substances in order to produce irritant gas. Since 2009 there have been a number of rumors that there may be also a hand grenade with capsaicin made from this plant. The Naga Jolokia also found use in the traditional Indian medicine. 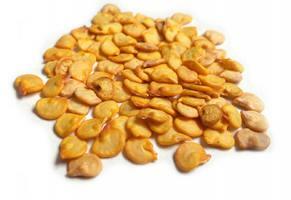 Small dosages of the extract are used for treating asthma or for helping with the digestion. Also extracts from this Chilli should help relieve muscle and tooth aches. Moreover the young leaves are used in case of burns and science researches have confirmed the positive effects. Although the uses can be very varied, the Naga Jolokia is often used for preparing very hot dishes. This way, a lot of products have come out since its discovery in the year 2000. There are crispy and hot snacks made from corn – and wheat flour up to a lot of sauces, pastes or spice mixes – the processing forms are varied. Whilst in India the Chilli is harvested and processed unripe as well as ripe, the products are most of all known for their heat. A mustard that is refined with Naga Jolokia will not only make the next grilling party to a sensation, but will also contribute to the fun. Besides all of these is not only the heat interesting. 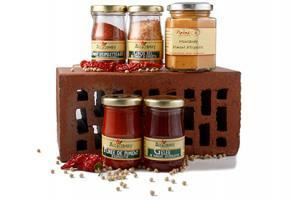 The flavor is also great for refining of different dishes. A wide variety of different delicacies with extracts from the Naga Jolokia as well as fresh varieties can be found in the Pepperworld Hot Shop. Sometimes we also have seeds available! The great attention has come to the Naga Jolokia, as mentioned before only since the ear 2000. Indian researchers have found for the recipe of the Naga Hari a Scoville measure of 855.000 units and have risen at first some skepticism. This is due to the fact that the Scoville reading was 50% over the value of the previous hottest Chilli, the Red Savina. In the next years the results have been controlled and verified multiple times. The pod has received the official world record in the year 2006. Its opponent, the Trinidad Moruga Scorpion has claimed the throne officially in the year 2012. Until then there has been skepticism regarding the measuring methods of the contesters because the methods used have not been fully comliant. The different names also lead to some confusions. The local names point out to the same variety. The term Bhut Jolokia means something like ghost Chilli, or Bih Jolokia means something like poisonous Chilli, they all point out to the Naga Jolokia. The term Naga should point out to a tribe of warriors that had its roots in the Nagaland. The Indian researchers see the origins actually in Bhutan and consider the term Bhut meaning ghost as misleading. When we consider the extreme heat and the intensive aroma, the usual term that is used in Nagaland and Manipur seems the appropriate. In that area the Naga Jolokia is referred to as “Raja Mircha” or “Raja Chilli”. In translation this means something like “The King of Chilies” and this is very appropriate independent of the world record. The Naga Jolokia is devilish hot independent of its name! However you like to call it, the Naga Jolokia is extremely hot! Although there are rumors of children in India that eat 50 pods a day and afterwards they want some more it is best that you use it sparingly! Of course it is funny when someone that does not know bites into one. But with the extremely high Scoville rating it can become very fast very unpleasant. For the fans of the extreme heat you can get more products made from this pod ranging from Chilli sauces to pastes but also powder and flakes should be considered. And with the right dosage it makes especially Indian dishes to a taste firework. The Naga Jolokia is also very versatile. The Chilli is not only suited for cooking. Other uses are in the weapons department as an irritant gas. All this is made with the help of a pod that does not grow bigger than eight centimeters even in the best of conditions. As the king, or better said the queen of all chilies, it is “extremely” good.